What can be done if patients seriously consider the advantages of blepharoplasty (eyelid surgery)? 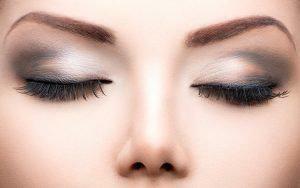 Blepharoplasty is can be done to enhance the appearance of the eyes by addressing excess skin on the eyelids. Patients who are interested in eyelid surgery are encouraged to book an appointment with our team to determine if they are appropriate candidates. Many of the above situations are the reasons patients decide that eyelid surgery, or blepharoplasty, is right for them. Our team can provide a thorough evaluation of the eyelid skin to determine if it is indeed appropriate to perform for enhancement of the eye area. If you live in or around the Quincy or Plymouth areas of Massachusetts and are ready to visit a full-service dermatological practice staffed with a quality dermatologist and a plastic surgeon, now is a great time to contact DermASAP to book appointments with our dermatologist, Dr. Kenneth Reed, or our plastic surgeon, Dr. Genevieve Broderick. They can work together in providing patients with a more rejuvenated appearance for better confidence and improved self-esteem. It is common for the team at DermASAP in Plymouth to see patients who desire a more attractive appearance. They want to look and feel their best, and if there are imperfections of the face or body, they want to address them in a safe, affordable, and natural-looking manner. When patients in Plymouth and the surrounding areas are unhappy with the appearance of their eyes they may speak with our team to determine the options they have available. At DermASAP, we have both a dermatologist and a plastic surgeon on our team who can help with concerns around the eyes such as excess fatty deposits and sagging skin with upper and lower eyelid surgery. Eyelid surgery is unique to each patient. It may involve the removal of excess skin that causes folds and unattractive contouring of the eyes and may improve the appearance by reducing fine lines and wrinkles that have developed and negatively affected the look of the eyes. Dr. Genevieve Broderick, our plastic surgeon will first consult with patients and perform a thorough evaluation to determine if eyelid surgery is right for them. This is a great time for patients to ask about alternative solutions or discuss what they can expect before, during, and after the procedure. Aftercare information is crucial as patients may take time off work following the procedure.